This Mobile Car Wash Trailer by Detail King is excellent for the new mobile detailer that wants to get started in this lucrative business and keep his or her start-up costs to a minimum. 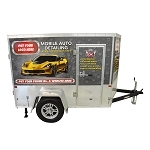 Detail King’s Mobile Auto Detailing Trailers are the most popular and best built detailing trailers in the industry today. 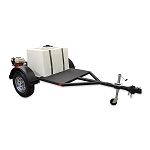 Our custom-built trailers are designed to last long, are very durable and designed with the professional mobile auto detailer in mind. They are constructed to endure the daily tasks of professional auto detailers and reconditioning craftsmen. Detail King mobile detailing trailers are constructed of the very best select materials and outfitted with the highest quality, professional grade auto detailing equipmentnt. The Detail King DK5800 Mobile Detailing Trailer and the NEW DK6100 enclosed Mobile Detailing Trailer are the “Cadillac’s” of all mobile detailing trailers. Fully equipped and built to last and feature a custom designed full wrap to effectively advertise your mobile detailing business. 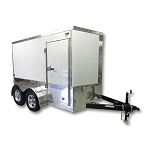 Detail King’s mobile detailing trailers are designed to not only look awesome, but also designed to be very efficient. We know how labor-intense providing auto detailing services can be so we designed our detailing trailers to save you time, which will also save you money! Our mobile detailing trailers will enable you to operate more proficiently, saving you a great deal of time and energy. Our commercial grade pressure washer, hose reel, water tank, air compressor, generator and storage units are conveniently installed for the operator. The Detail King auto detailing trailers will help simplify your auto detailing operation and give you a edge over your competition in your market, and that is important! Detail King also offers two commercial grade mobile car wash trailers. Both of these units are equipped with a powerful Honda pressure washer. Be sure to check out our Mobile Car Wash Trailers, too!